The new road-loving Tiger 800 XR is as perfect for touring the world’s highways, as it is on the city streets, with superb off the beaten track handling too. The XR is a ride with a smooth delivery and confidence-inducing capability. The more responsive Triumph 800 Triple engine and the lighter, improved exhaust system are just two of the many features, innovations and modifications that have been designed into the latest generation of the XR model. The 19-inch aluminum cast front wheel and Metzeler Tourance tires work in harmony with the adjustable suspension of the XR giving a smooth and comfortable road ride. You’ll benefit from improved riding position and the new shorter ratio first gear, giving you more low-speed traction and instant responsiveness right when you need it most. 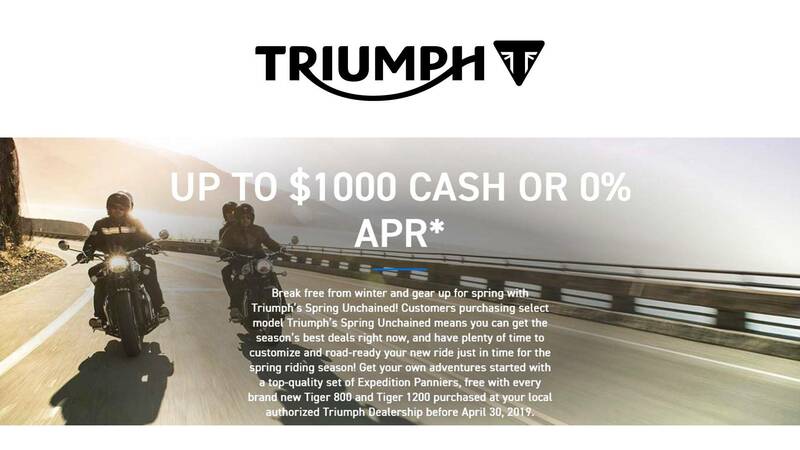 All this is in addition to category-defining core technologies including ride-by-wire throttle, switchable ABS and traction control, and a more distinctive Tiger 800 style. The new Tiger 800 XR sets the bar for all-road, all-day comfort. 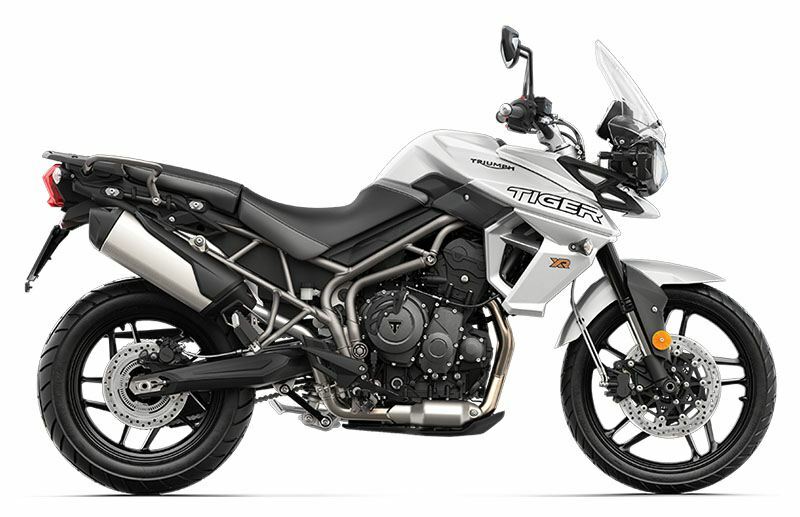 TECHNOLOGY: The Tiger 800 XR comes equipped with the latest generation of Triumph's ride-by-wire throttle, switchable ABS and switchable traction control and a handy USB and 12v power sockets. ADJUSTABLE SEAT HEIGHT: The Tiger 800 XR features adjustable ‘2 position’ seat mechanism allowing the rider to lower seat height by 20mm from 830mm to 810mm to suit their individual riding style and preferred position.